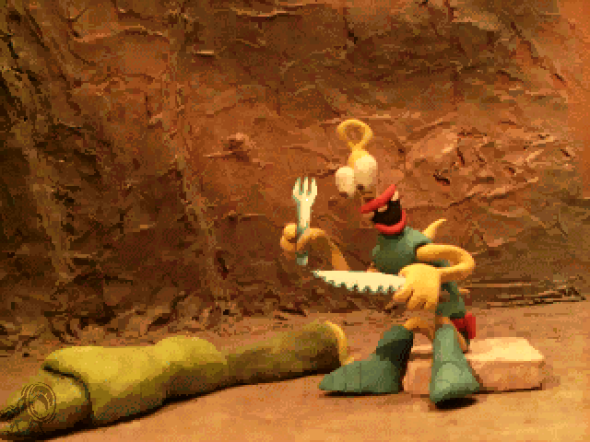 The creator of such games as Earthworm Jim arcade and The Neverhood plasticine adventure, Douglas Tennapel, told about his intention to reopen the industry of animated games with fun and strange characters. The new project still has no official name, but has been being under development for quite a while. For those who are not familiar with the wonderful world of Neverhood and other animated games, we will tell a little more. Back in the 1996, DreamWorks Interactive released the first game that is made only ​​with animation and plasticine. The Neverhood is a fascinating quest with an inimitable sense of humor, which is still well remembered by many players. This time almost the same stuff: Pencil Test Studios, Douglas Tennapel and Terry Taylor, who created unique The Neverhood soundtrack, are working on the project. Most likely, the game will be funded by fans themselves with the help of Kickstarter.